Enterprise Application Integration (EAI) is the use of the architecture based on middleware allowing third parties to manage heterogeneous exchanges for a business. 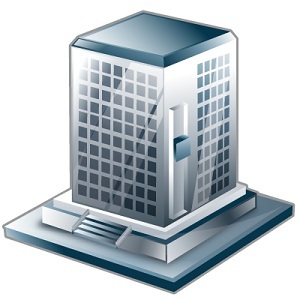 Enterprise Application Integration falls in the category of business integration of computer technology and urbanization. Do not forget that, the usage of computer outside research was actually intended for Business and Accountancy. Do not forget the acronym of IBM – International Business Machines Corporation, established in 1911 (that is over a century), the period IBM was founded, historically has importance of usage of modern technologies to make the running cost of a company to lower in some way or the other. With time IBM has became a symbol for Computing, but actual thought is the implementation of modern technology in business. Enterprise Application Integration is modernized terminology of that way of thought. Enterprise Application Integration can ensure that the information is consistent across multiple systems. This is also known as Enterprise Information Integration. Enterprise Application Integration is used for process integration to link business processes across applications. Enterprise Application Integration for vendor independence is important for implementation of own rules. Enterprise Application Integration can act as the front-end of a cluster of applications, providing a single interface and consistent access to those applications and isolate users on interaction with various applications. Connectors provide an interface between the AEI and applications. They scrutinize the events of the application and transmit data related to the case, these are called Application Specific Business Objects ASBO. Mapping can be done for Business Objects, BO. Finally, a transport layer is used to route data between applications, this can be as simple as HTTP or complex MOM , JMS or Jabber with API based integration. Enterprise Application Integration provides a centralized flow of data, companies need not to develop specific interfaces for each application and connect point to point. All interfaces of Enterprise Application Integration, converge on a central server or hub, which processes and distributes the data. With Cloud Computing, even a data center now is not needed to be purchased. Software as a Service (SaaS) from other vendors, like FreshBooks for accounting and billing can be integrated. Which previously needed a full department can be done from a bedroom. There are quite obviously various disadvantages of Enterprise Application Integration, mostly related to hardware and Software failure, breech of security etc. This Article Has Been Shared 1840 Times! Core Components of Cloud Computing platform includes the identity and authorization management apart from virtualization software, hardwares and network used. In a large organization that process alone can make an EAI implementation project worth it. When data is siloed it doesn’t have the true impact it should for your enterprise. You need to ensure that everyone has access to the same information regardless of what system they are in. Edited : URL removed. Deeplinking is not allowed. Cite this article as: Abhishek Ghosh, "Enterprise Application Integration," in The Customize Windows, September 30, 2012, April 23, 2019, https://thecustomizewindows.com/2012/09/enterprise-application-integration/.